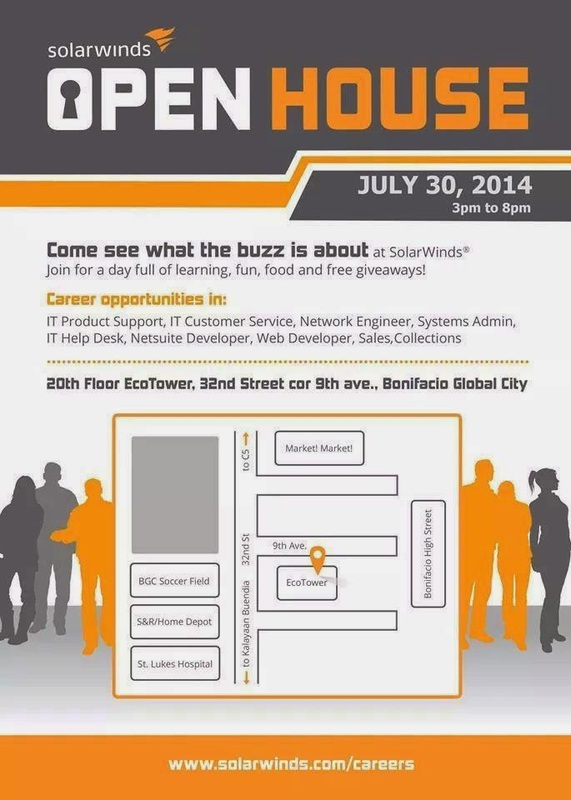 Solarwinds Philippines is one of the premier In house sites in the country. The company will be having an Open House on July 30. Activity will start 3pm - 8pm FREE FOOD, TSHIRTS and USB FLASHDRIVES will be given away!!! See Image below courtesy of our Facebook Friend. I have never heard of bad feedback about Solarwinds. People I know personally are satisfied with the perks that they are getting like Team Building, Free Food and most of all GREAT SALARY the company offers above the industry standard packages.